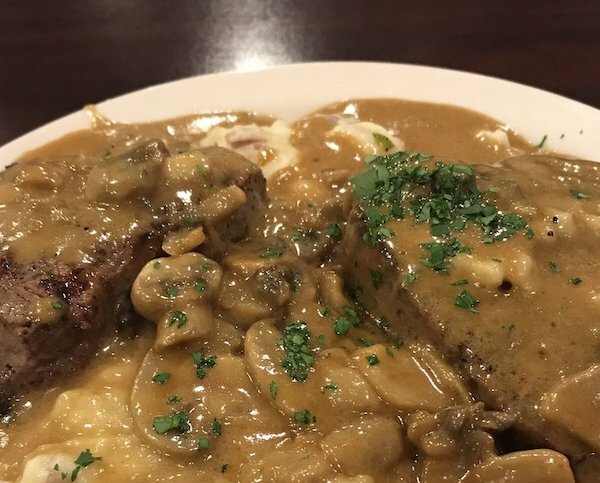 Angelo’s steak and Pasta restaurant has a long history and their style really works. The restaurant’s atmosphere is warm and inviting great for the perfect dinning experience. 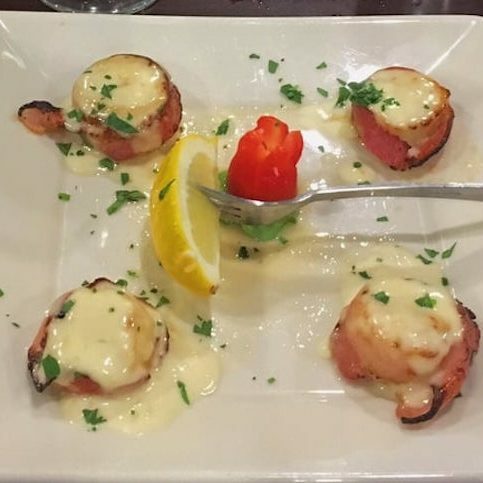 It’s a large restaurant that offers an Italian buffet for $13.95 which includes Italian favorites, rolls and bottomless salad at a great price. Take advantage of early bird specials available before 6:00. Or order off the menu and prices are reasonable. 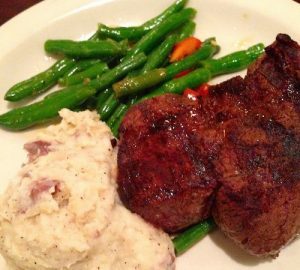 If you looking for a perfect steak dinner then you should visit this restaurant. 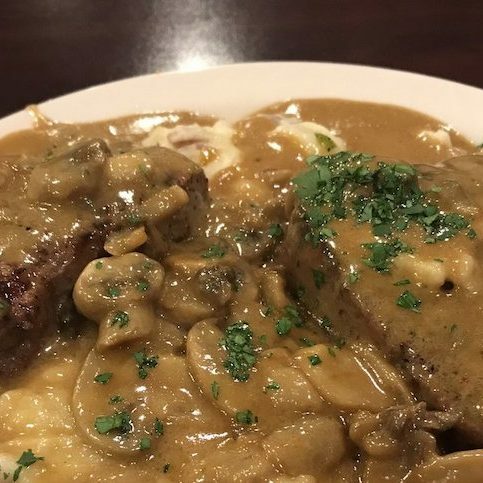 The steaks are cooked and seasoned to perfection (no steak sauce needed here) and the pasta and sauce are wonderful. Try the Steak with blue cheese butter. it ‘s a restaurant favorite! 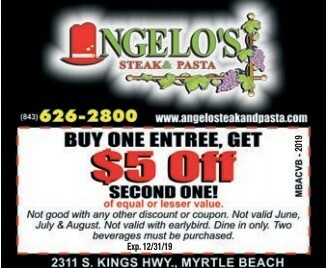 Place Description: Angelos Restaurant In Myrtle Beach is a must go. 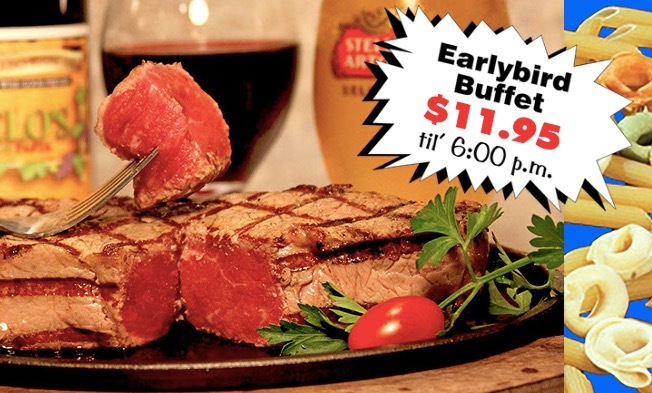 Enjoy the perfect steak and Italian buffet at the best price with these coupons to help you save. I was pleasantly surprised with the buffet. The meatballs were very tasty–better than mine and they were a decent size, too. The marinara was sweet and delicious as well. I tried the Italian green beans, pasta with spinach and cheese, stuffed shells, lasagne and cheese tortellini Alfredo. All of it was very good! 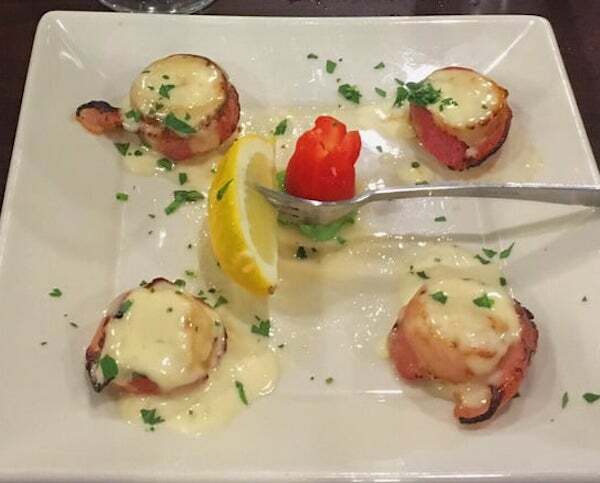 My husband and I decided to try this restaurant and we had the bacon wrapped scallops, and this is definitely a dish to order and next time both of use we order this dish. Service was also good – we will be back. This restaurant was very close to where we were staying so we decided to go. And I must say we loved the buffet it has an assortment of Indian delights plus it comes with fresh salad and garlic bread.